“If the Nuremberg laws were applied, then every post-war American president would have been hanged,” said Noam Chomsky prior to the last few presidencies, none of which is likely to have changed his analysis. But what if you applied such principles retroactively back to George Washington and every U.S. president since? What if you graded presidents, not on personality or style or popularity, but on how many deaths they caused or prevented? Al Carroll’s new book is called Presidents’ Body Counts: The Twelve Worst and Four Best American Presidents: Based on How Many Lived or Died Because of Their Actions. I think this is a model for how history ought to be examined, despite serious flaws. Carroll’s project may ultimately be impossible. How do you score presidents on the areas of criminal enterprise they opened up for their successors? 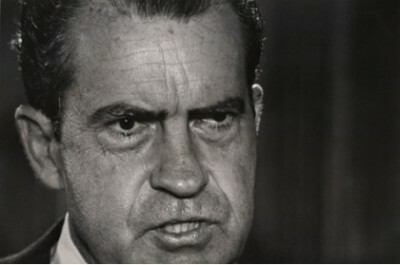 Could you have really had a Nixon without a Truman? Carroll is aware of these difficulties, and also of the overarching lesson that giving single individuals such royal powers as presidents have been given inevitably leads to disaster. But I think he still falls short. Carroll attempts to step outside his own biases and look at the facts. But how does one include sins of omission? How does one score numbers of deaths across centuries, given dramatic growth in populations? And what about the deaths that Carroll happens to approve of? He gives Lincoln and FDR credit for the Civil War and World War II while marking all other presidents down for their wars (although marking FDR down for certain atrocities during his war); he has swallowed the humanitarian war advocates’ mythology about Bosnia; and he omits dozens of smaller military operations from any mention at all. And Carroll’s current day partisanship seems to be showing as he credits Obama with ending wars in Iraq and Afghanistan, despite the fact that the war in Afghanistan has not been ended and the war in Iraq, which Obama was forced to end, he has now found a way of restarting. I said this book was a model, not the ultimate achievement of the genre. Carroll is of course right to denounce historians who examine “leadership” and “presidential caliber” as little better than celebrity tabloid writers. And his book, whether one agrees with his selections and rankings, makes illuminating reading that would benefit any classroom. Simplistic, it is not. Much of each section is devoted to who else gets the blame for particular horrors. To pretend that in blaming a president for something Carroll has asserted that nobody else is to blame for it would require cutting out a large percentage of the book. Carroll also devotes space to what plausibly could have been done by each president rather than what that president did. Our airports, cities, and states are named for butchers, Carroll writes, and correcting that does not require that we get the butchers into the perfect ranking. Yet, for what it’s worth, here is Carroll’s ranking of the worst of the worst, beginning with the very worst of them all: Nixon, Reagan, Jackson, Buchanan, Polk, Filmore, Clinton, Ford, Truman, McKinley, Bush II, Andrew Johnson. And here’s his ranking of the best, beginning with number 1: Lincoln, Van Buren, Carter, Grant. Carroll includes positive deeds by Nixon, and negative deeds by Carter, etc. But this is where he comes out.. In fact, Carroll includes enough information on these and other presidents, that he may end up reinforcing your disagreement with him on the rankings. I’ve always considered Truman the worst of the worst, and when Carroll lays the Cold War — and all the actual wars it included — at Truman’s feet, he seems to make the case (although U.S. policy did not exactly transform when the Cold War ended). The book, I think, works best if read straight through and then re-arranged or collated in your head. Carroll treats presidential horrors in terms of categories that don’t make the most sense. First come genocides, then the allowance of or provocation of genocides, then slavery as a subcategory of genocide, then atrocities during wars, then something called “mass death by incompetence or ideological blindness” (which ends up including, in order from greatest to fewest deaths: “deregulation,” the Cold War, Vietnam, Afghanistan, Iraq, the U.S. Civil War [blaming Buchanan for it, while giving Lincoln credit for it], the “war” on drugs, the War of 1812, the Panama Canal, Hurricane Katrina, and the Branch Davidians), then “Other American Wars of Aggression,” etc. Wars of nonaggression (or something?) never make the lists. I’d have preferred one list that combined all the sections and included all the wars, as well as all other acts of commission and omission causing or alleviating mass suffering. Carroll also includes good deeds by presidents, including instances of war avoidance, and including disarmament successes. I think this section could be significantly expanded and truly is a model for the sort of history books we need. And we need them with something else in precisely this section: heroism. Gore Vidal recounted JFK saying “What would Lincoln have been without a war? Just a railroad lawyer.” Indeed, without his “good war,” Lincoln might have been as thoroughly ignored as Coolidge by Carroll, despite the creation by the latter’s administration of a treaty banning war, and the avoidance by his administration of any major war making. But what if future Kennedys saw the later JFK who turned against wars, and paid a price for it, as a model of greatness, as well as viewing the rogues gallery of past butchers as just what they were?